Here in Texas, we couldn't be more ready for spring! Birds are chirping, the sun is shining and we're seeing so many beautiful blooms popping up left and right! We couldn't wait to showcase some of these floral beauties in the new Dutch Tulips Quilt Pattern by It's Sew Emma! This eye-catching quilt is the perfect piece to bring the beauty of the outside into your home! 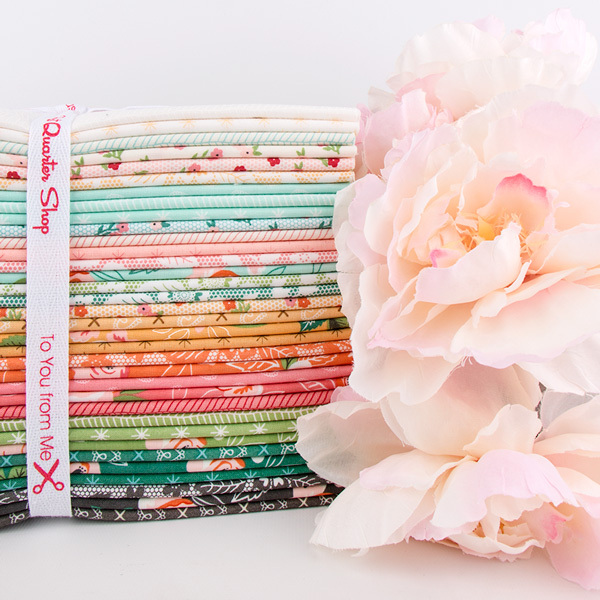 Dutch Tulips features the much-loved collection Sugar Pie by Lella Boutique for Moda Fabrics! 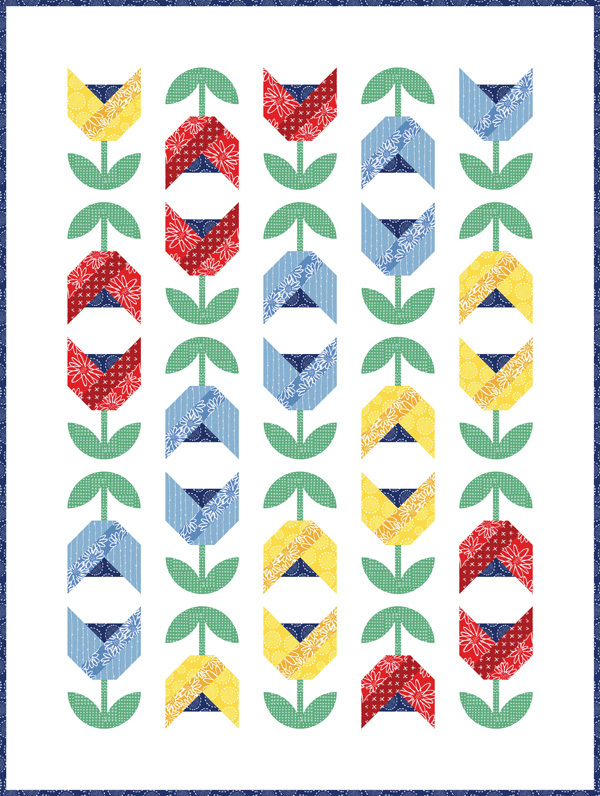 These floral, cotton prints in a variety of colors are perfect to accent the fun tulip shapes on the quilt design! 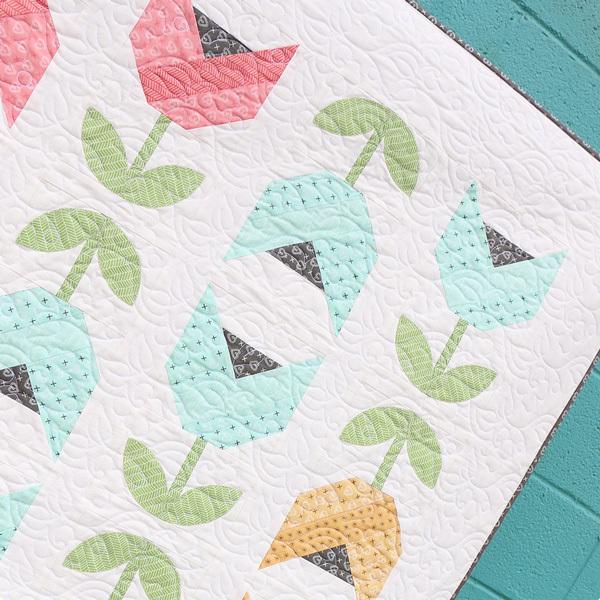 We had sew much fun whipping up this quilt in Sugar Pie, that we couldn't wait to try it with another one of our favorite new collections and give it a bright twist! Check out this twist in the Blueberry Park collection by Karen Lewis Textiles for Robert Kaufman Fabrics! Ready to make your own? 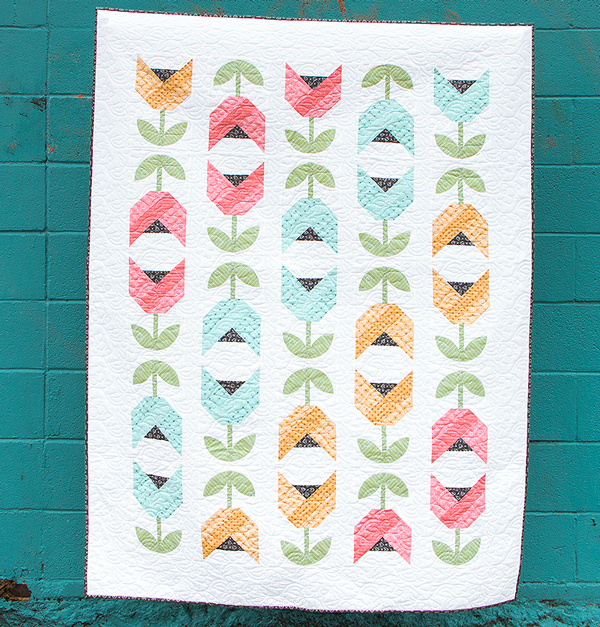 Watch this helpful YouTube video as Kimberly walks us through the Dutch Tulips quilt! Are you looking for more tulip fun?! Check out some of our quilty friends' blogs and see which collections brought their Dutch Tulips pattern to life! GIVEAWAY! What's your favorite It's Sew Emma pattern?! Let us know by leaving a comment on this blog and be entered to win a digital copy + printed copy of the pattern of your choice!